Anyways, Rachel had ordered the porridge from People’s Organic before and highly recommended it, so I decided to give it a try. I was pleasantly surprised and thoroughly enjoyed it. I even asked the waitress what the ingredients were because I knew I wanted to recreate it at home. The original recipe included seven grains, but I’ve modified it slightly and created my own six grain version. The best part about this recipe is it’s a super easy meal to make, especially if you own a rice cooker. As I mentioned in my article about must-have kitchen appliances, rice cookers are versatile appliances that are great for cooking oats and other grains, in addition to rice. I like to add the porridge ingredients to my rice cooker in the morning and set the timer so it’s ready for dinner when I get home from work. This recipe can definitely be made on the stove top as well, but I’d plan for about an hour of attended cooking time. The grains I use in this recipe are amaranth, millet, quinoa, buckwheat, wild rice, and brown rice. I’ve proportioned the grains based on my preference, but feel free to modify the amounts of each if you’d like. I use a 3 to 1 ratio of water to grains, so for every 1 cup of grains, I add 3 cups of water. Depending on the size of your rice cooker, you may be able to double the recipe, but it yields about two large, entree-sized portions of porridge. As I mentioned, the preparation process is simple. Add the grains to your rice cooker and then add the water. 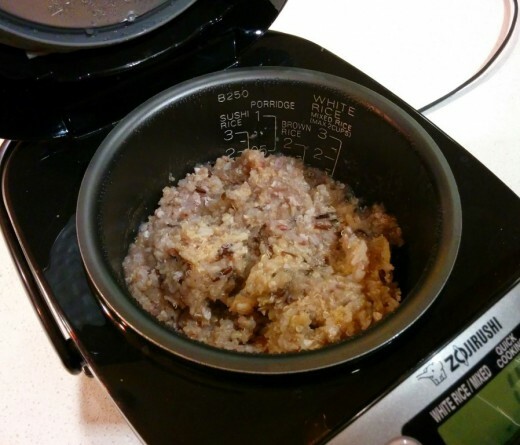 Set the rice cooker to the porridge setting and allow it to cook. Once the rice cooker is done cooking the porridge, divide the porridge between bowls, and mix in your desired amount of brown sugar or cinnamon (or even honey, agave nectar or molasses). I wouldn’t normally think to add molasses to porridge, but I tried it with oatmeal at Local 360 a few weekends ago and it was amazing! Top with sliced bananas or any other fresh fruit! 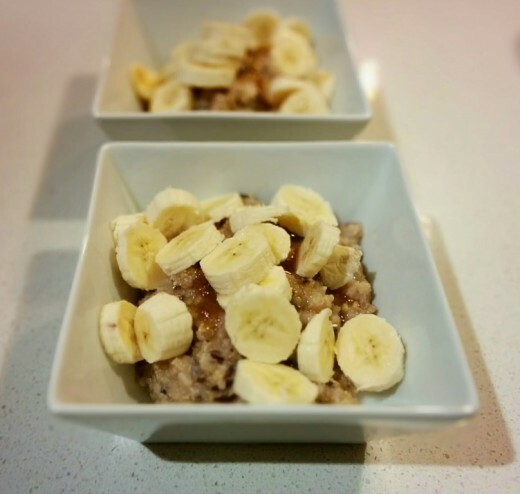 Have you ever tried porridge before? What grains do you like to include in your recipe? Let us know! 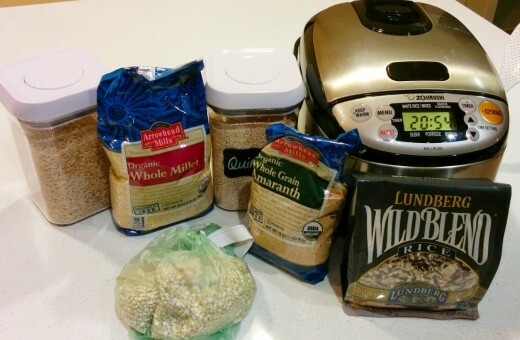 Place all grains in a rice cooker and add water. Set the rice cooker to the porridge setting and cook. 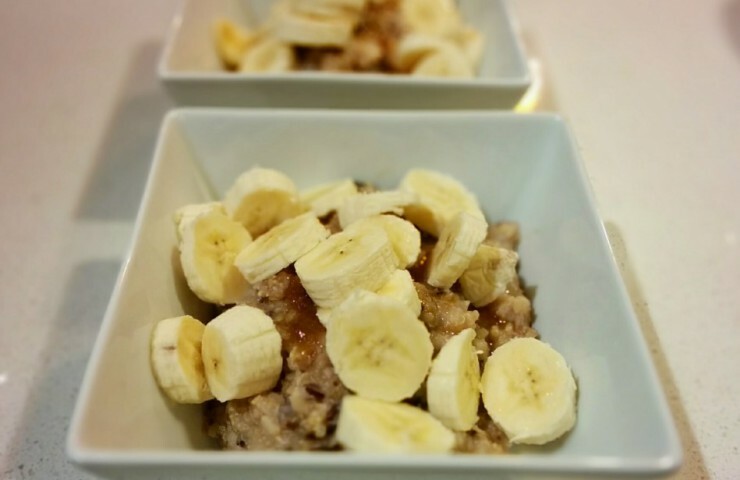 Mix in brown sugar and/or cinnamon to your liking and top with bananas or other fresh fruit.